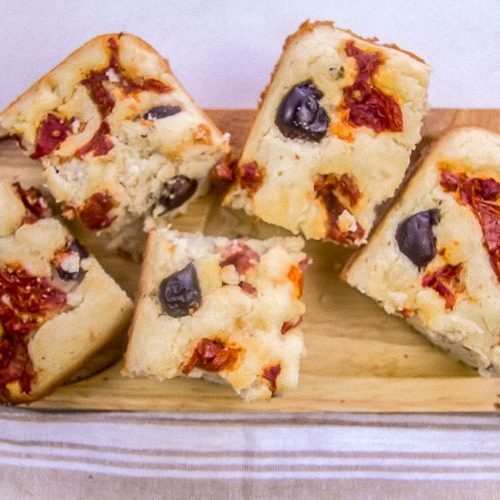 A low carb bread version of focaccia with almond flour is flavoured with sundried tomatoes and olives for a hearty bread recipe. 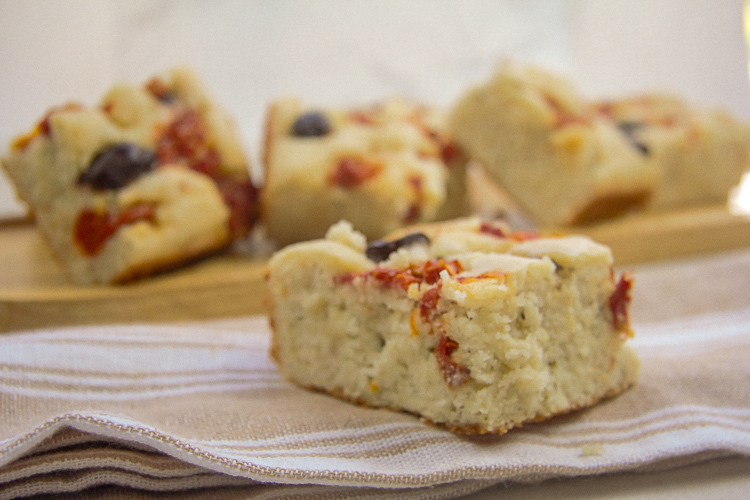 Add your own topping or flavours to this low carb bread recipe. 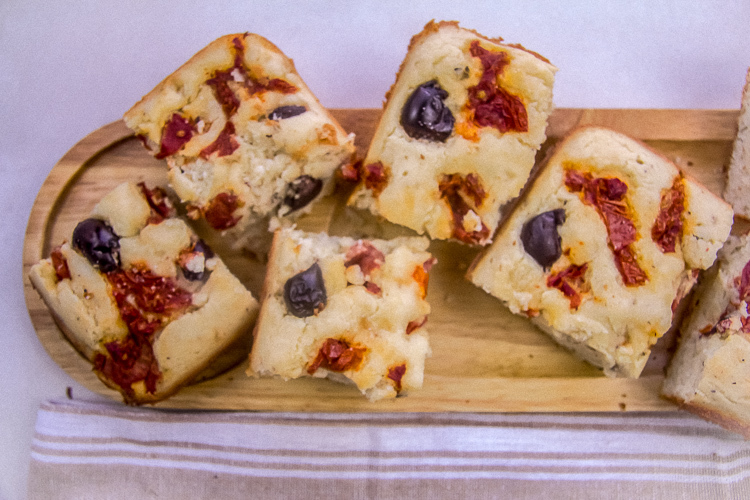 I was originally going to make this a garlic and herb focaccia but as I had some olives and sun-dried tomatoes in the fridge, thought it was a good reason to use them. 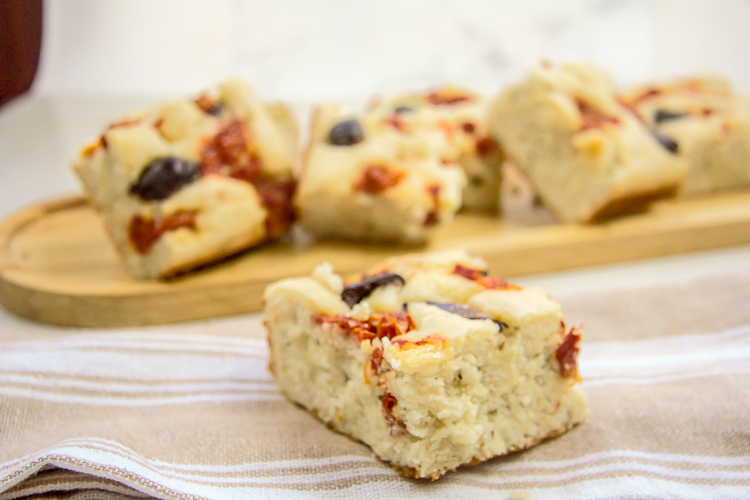 This is a hearty low carb focaccia bread recipe that is great sliced and toasted. 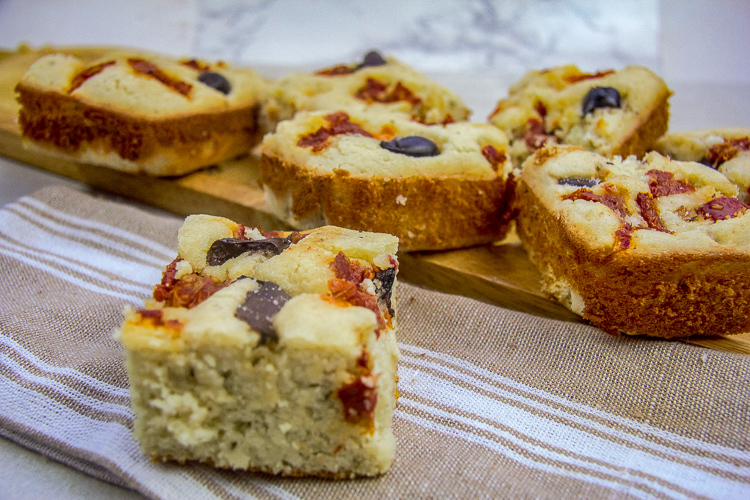 We enjoyed a couple of squares warm from the oven under the guise of taste testing. The next day I sliced the bread and toasted it with our morning eggs. It was delicious and filling which is always a good start to the day. If you don’t have psyllium husk powder try ground chia seeds or a couple of tablespoons of ground chia seed. I have also thought about adding oil to this bread mixture in an attempt to recreate a focaccia bread as much as I can. You could also flavour the olive oil that I drizzle over this bread with your own herb choices. I am tempted to bake this with slices of garlic for my next attempt. Let’s hope it doesn’t repeat on me! Oil and line with parchment paper a square baking tin (I use a 9-inch square tin). You can use a larger tin for a thinner bread. Add the milk to the dry mixture and stir to make a smooth batter. 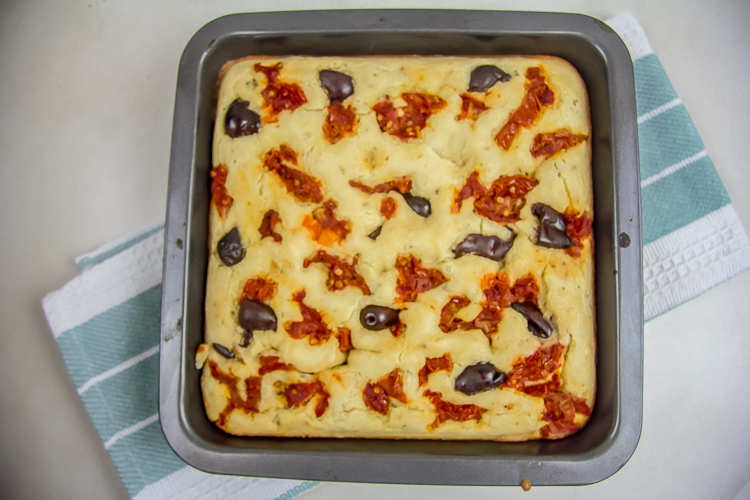 Pour the dough into the baking tin and even the mixture out. Cut the sun-dried tomatoes into strips and cut the olives into halves. Place over the dough. Using a wet finger make dimples in the dough. 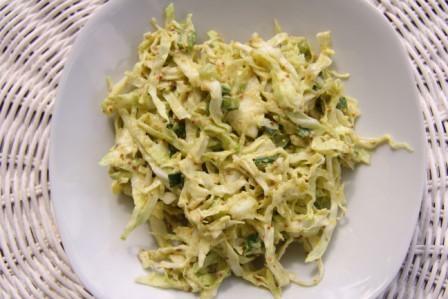 Drizzle the olive oil over the bread and season with the salt. 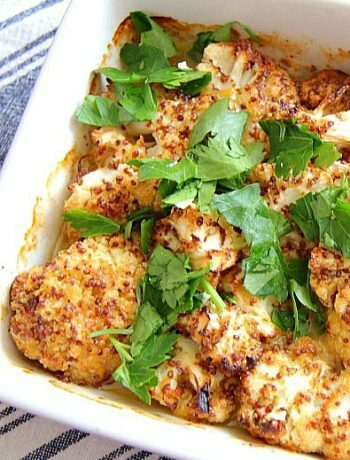 Bake for 20-25 minutes until golden brown. Let cool for 5 minutes before serving.